This is where we are headed. 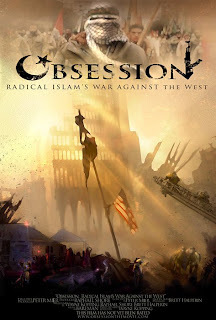 The week that a well funded 527 distributed thousands of copies of "Obsession: Radical Islam's War Against the West" by mail in Ohio a "chemical irritant" was sprayed through a window of the Islamic Society of Greater Dayton. DAYTON — Baboucarr Njie was preparing for his prayer session Friday night, Sept. 26, when he heard children in the Islamic Society of Greater Dayton coughing. Soon, Njie himself was overcome with fits of coughing and, like the rest of those in the building, headed for the doors. I am anti censorship for sure, but the gray area between freedom of expression and hate speech has me queasy in this case. This kind of thing is going to become more common, I am afraid. And short of denouncing this kind of propaganda I feel helpless in figuring out how to stop this. Additionally, that the corporate media has not covered this story nationally speaks volumes. There has not been a direct link made yet between the DVD mailing and the mosque but if one is proven we have quite a serious dilemma on our hands.